Winnipeg. 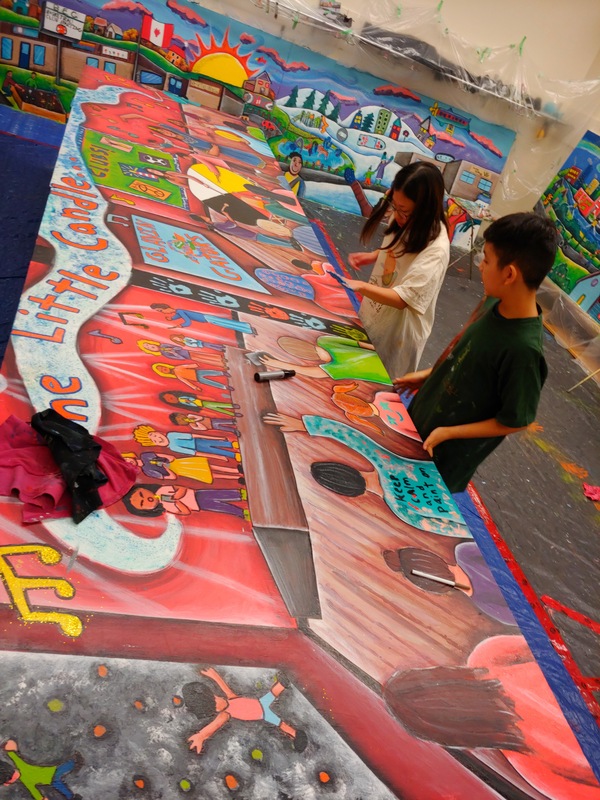 An important aspect of her work is her “mural mentorships”, in which she guides students of all ages and levels of ability through the process of creating a mural for their school and community. Though primarily working in acrylic paint, mixed media is an exciting exploration that Annie is currently incorporating into her own art projects and murals. She loves incorporating tile, glass, found-objects, and various mixed media into her artwork. Annie is passionate about sharing these skills with others, as well as engaging youth and community members in the creation of eclectic murals and artwork.